The New York Liberty are looking to try to get some momentum going to make a playoff run, so they travel to Minnesota to take on the Lynx in this WNBA battle on Tuesday, July 24, 2018. 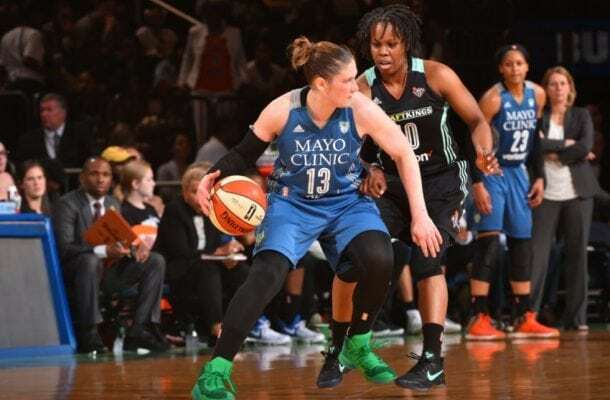 Two teams that find themselves battling for a playoff berth square off when the New York Liberty travel out west to take on the Minnesota Lynx. New York is finding themselves on the verge of being eliminated altogether and must earn a victory on the road to a Minnesota team that is struggling to find its identity this season. New York is 7-17 this season, 10.5 games out of first place in the WNBA. In their last 10 games, they are 3-7, including losing three straight. The Liberty are 6-7 in the conference and are 3-8 on the road this season. New York is averaging 78.7 points per game while giving up on average 84.8 points. They are shooting 43.3 percent from the field and 32.5 percent from three-point range, while opponents are shooting 44.2 percent against them and 35.2 percent from beyond the arc. Tina Charles is averaging 19.8 points per game to lead the Liberty, which is seventh best in the WNBA. She is leading the team in rebounds per contest at 6.8 and is shooting 45.5 percent from the field. After Charles, it is a hodgepodge of scoring for New York, as no other player averages better than 8.7 points per game. It truly is Tina Charles carrying the Liberty on her back. Brittany Boyd has done a great job at directing the offense, averaging 5.1 assist per game. Minnesota is 14-10 this season, and they are 6-4 in their last 10. The Lynx have been quite consistent, going 7-5 on the road and 7-5 at home. Minnesota is 8-4 in the conference and trails Seattle by 3.5 games in the standings. The Lynx average 79.2 points per game while giving up 76.7 on average. They are shooting 44.6 percent from the field and 35.2 percent from beyond the arc, while opponents are shooting 43.7 percent against them and only 31.9 percent from three-point range. Three players on Minnesota are averaging better than 10 points per contest on average. They are led by Maya Moore, who is averaging 18.5 points per contest, ninth best in the WNBA. Sylvia Fowles his second on the team with 16.7 points per contest, and is averaging 11.7 rebounds per game, which is first in the league. Seimone Augustus is third on the team in scoring at 10.6 points per game. Liberty are 2-6 in their last eight games against the spread. Liberty are 5-16 in their last 21 Tuesday games against the spread. Liberty are 0-9 in their last nine games against the spread against Western Conference opponents. Liberty are 1-6 in their last seven games against the spread when facing a team with a winning record. Lynx are 5-11 in their last 16 games at home against the spread. Lynx are 1-4 in their last five Tuesday games against the spread. Lynx are 1-4 in their last five games following a victory where they cover the spread. In the last six meetings between these two teams in Minnesota, the total has gone over in five of those six meetings. This is a game that New York cannot afford to lose, but there is simply not enough depth on this Liberty team to be able to compete with Minnesota. The Lynx will win this game but don’t look for them to cover the spread. Minnesota wins, 88-78.